My friend Robin visited yesterday. She’s a radio personality who approaches life with an impressive force and energy. We began to talk about the state of education and Robin came up with an interesting idea. Robin grew up in Baltimore and had a challenging home life. It was school, she emotionally said, that really saved her. As we sat around the table eating dinner, we shared stories about teachers who made huge impressions on us because of their ability and determination to think and teach out of the box. Robin thought that a great many people must have examples of how creative teachers had major impacts on their lives.She suggested that, in the style of the Aids Quilt, we begin a project where we piece these stories together – one story to another, to another, to another…. making a sort-of story quilt consisting of examples of lives affected by creative, caring, non-script-teaching professionals. She thought that it would be a perfect response to the type of teaching- to- the- test mentality that is driving education today. I’m pretty excited about the idea but I don’t know how to get it started. What are your thoughts? Wouldn’t it be great to have these stories printed up, attached together, and hung in some public spot? Am I thinking too big or crazy? This entry was posted in Investigating Choice Time: Inquiry, Exploration, and Play on June 15, 2013 by Renee. I love the idea! I am trying to envision how to capture a story on a quilt square. Would they be in writing or would they be representations of stories? Tomasen, I threw out the idea on my blog while I was in the excited passion of the moment. Now I’m not quite sure how to facilitate this. I’m hoping to get more responses with ideas. I’m not quite sure where to go with this. Simon suggested a blog but Robin said “NO! This needs to be public and visible.” But how? I’m not quite sure. Ideas? Could this be a project for a university class of education students? I was involved in something similar (difference issue) a few years ago. Everyone produced a quilt square (10×10) and then described in one sheet why they designed it that way. 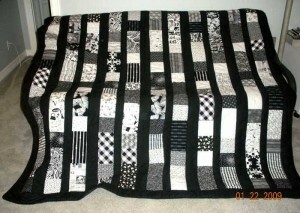 Someone put the squares together and then put all the “stories” in a binder and the binder travelled with the quilt. Thank you Cathy. 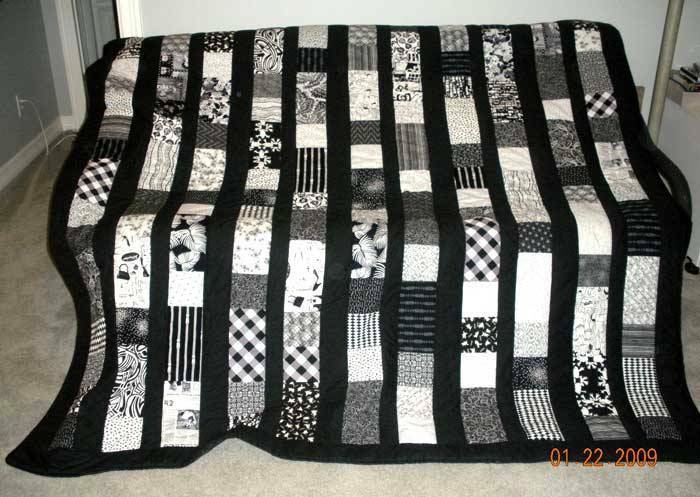 What was the topic of the quilt? I agree that a quilt, which is visual, might not be the best vehicle for capturing stories. Years ago I had my Pratt students make a chart in which there were words and a drawing of the teacher from memory. They are fairly large but I may be able to scan part of one to see what you all think of this format. I’d love to see it Amy. I’m not wedded to any format. I was just really taken with Robin’s idea and thought that it’s worth sharing, throwing out to the cyberworld and see where it goes! I love this, Renee! I’m going to do some more thinking regarding the format, but it is certainly past time to honor educators who are so far out of the box, they’re not sure of its location. At a time when surrendering to lobotomization is not only expected but rewarded, we need to show our society that it is those educators who buck the system who truly make a long-lasting difference in children’s lives. Very well said Aeriale! I’m looking forward to the ideas that you come up with. I love this idea in general, and think that an actual large physical quilt that could be hung as (political) display somewhere in a prominent place, maybe in DC, of images that are metaphorical, perhaps, using imagery and symbolism or even concept words to capture the qualities that enabled those teachers to be creative, imaginative educators, would be great. Amy, that’s an interesting idea! I wonder about how something like this could actually be organized. One thought that I have for getting it started is to first have an online site where people enter memories of inspirational teachers. From these vignettes, a physical quilt might grow.